Foreign Minister Mangala Samaraweera deserves at least some credit, surely, for the outcome at Geneva: a two years reprieve to fully implement the 2015 UNHRC Resolution instead of peremptory orders to get going with it or face sanctions by the US or the EU. The expectation is that at the end of the two years it will be found that the Government has still been able to implement only part of the Resolution, but no dire consequences are predicted. The reason is that Sri Lanka’s performance on democracy and human rights has been well above the third world average, so that punitive action against it would be too outrageous for acceptance even by the hypocritical international community. However, the laid-back style of our Governments, backed by middle-class complacency, in dealing with the problems of transitional justice could possibly lead to disaster. We must bear in mind that what are at issue at Geneva are far more politics than human rights. More specifically, we must bear in mind that the China factor in South Asia could lead to serious problems with India and the West, in which event Sri Lanka could again suddenly come under serious pressure at Geneva. Prudence and commonsense dictate therefore that we do something really effective over the ethnic problem. The writer would suggest a shifting of priorities in dealing with it. Hitherto the Government’s focus has been on the problems of transitional justice, while finding a solution for the ethnic problem has been in abeyance. The writer suggests that the focus should be placed equally on the latter: finding an acceptable solution to the ethnic problem will make the failures, the inevitable failures, over transitional justice less important. 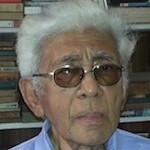 The main purpose of this article is to suggest firstly that there should be recognition of a special category of racism which might be designated as “casteist racism” that is applicable only to the caste-ridden societies of South Asia; secondly that our failure to recognize this category has led to the failure to solve the ethnic problem which threatens to become an endlessly protracted eternal imbroglio; and thirdly that the attempt to solve the ethnic problem on the basis of devolution is doomed to failure. At this point it is necessary to clarify what the writer means by “casteist racism”. First of all what is meant by “racism”, about which there is very little understanding in Sri Lanka? In contemporary usage, well-established over many decades, it applies not only to relations between groups defined in terms of genes but also to ethnic groups defined in terms of culture. We must bear in mind that racism is not the same as ethnocentric prejudice, the almost universal propensity of ethnic groups to view their own ethnic group as superior to all others. Racism denotes action, not just belief. The racist not only believes that members of other ethnic groups are inferior or dangerous or both, he actually wants to treat them as inferior or dangerous or both. Racists have common characteristics: an essentializing habit of mind that sees ethnic groups as having essential characteristics that never change just like genetic characteristics, or change only very slowly, and also a stereotyping habit of mind according to which unsatisfactory characteristics that apply to some members of an ethnic group apply also to all of them. That is more or less the consensus on what is meant by racism today. There can be no consensus on what the writer has in mind in using the term “casteist” because he has some very heterodox views about caste. Caste under Hinduism is certainly given a religious validation but the Buddha deplored caste: a man is not a Brahmin by birth but by action, and so on. Actually, according to what Dr. Walpola Rahula says in his History of Buddhism, it is not quite clear to what extent the Buddha was against caste. Anyway according to the belief systems of both Hinduism and Buddhism there is rebirth, and according to the theory of Karma one’s station in life is determined by the right and wrong actions committed in past lives. It seems legitimate to hold therefore that Buddhism also gives a religious validation for inequality just as much as Hinduism. 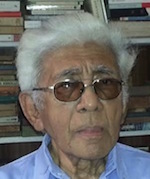 Louis Dumont in his classic study of the Indian caste system Homo Hierarchicus argued that it is wrong to regard it as just another system of social stratification comparable to the Western systems of social stratification according to class. The crucial difference is that the Indian caste system valorizes inequality and hierarchy while the western systems valorize equality because they have behind them the ideal of equality. If indeed inequality and hierarchy are given a religious validation under both Hinduism and Buddhism, we might expect racism in the South Asian region to have a peculiar edge to it. All this is in the realm of theory, but what does the empirical evidence show? At this point a preliminary clarification is required. The vast majority of the states in the world today are multi-ethnic: according to one count only four states are mono-ethnic while according to another there are only twelve such states. At present we are witnessing a widening spread of identity politics, that is to say politics in which majorities and minorities are at odds with each other. The probable explanation for this phenomenon is that with economic growth the aspirations to socio-economic upward mobility also grow, a process that favors majorities and minorities getting into odds with each other. It is a process that can lead to violent conflict. The remarkable fact however is that violent ethnic conflicts are few in proportion to the huge number of multi-ethnic states. Former UN Secretary General Kofi Annan wrote in his Foreword to the book Horizontal Inequalities and Conflict, edited by Frances Stewart (2008) “The majority of multiethnic societies do succeed in establishing the conditions for peaceful and stable development”. Frances Stewart goes even further: “Yet not all multiethnic or multireligious societies are violent. Indeed the vast majority are not”. At that point she cites detailed research done by two scholars. What is the explanation for that fact? It is an easily observable fact at the empirical level that human beings have a drive to belong to groups and also a contrary drive to transcend their groups, to engage in peaceful and cooperative relations with members of other groups. We might speak of centripetal and centrifugal drives in human beings, and which of the two prevails could depend on a number of factors including belief systems. If the belief system inclines its adherents to believe that some groups are inferior or dangerous, we can expect the centrifugal drive in relation to others to become dominant, depending on some other factors as well. As argued above in this article, both Hinduism and Buddhism give a religious validation to inequality and hierarchy because of the theory of Karma, which means that the centrifugal drive among their adherents could sometimes become very powerful. What are the facts about ethnic relations in the Indian Subcontinent, the only area of the globe where there is casteist racism? The facts are horrifying beyond words. In the Partition of 1947 over a million were butchered by both the Hindus and the Muslims. The important point is that over a million died not because of a civil war but because of indiscriminate butchery of helpless innocents by both sides? Has there been a parallel anywhere else in the world? The breakup of Pakistan in 1971 should also be understood in its ethnic dimension. It is a fact that the Muslims of the Subcontinent have had a quasi- caste system, a fact noted by Louis Dumont and much earlier by Iqbal and others. The four ethnic groups in West Pakistan looked down on the Bengali Muslims as “junglies”, and they could not bear the thought of the latter becoming politically dominant. That was the ethnic factor underlying the breakup of Pakistan. As for Sri Lanka suffice it to mention that a hundred thousand died in the civil war, the attempt to find a political solution is in abeyance, and there is the prospect that after some time there will be a further round of ethnic conflict.